Nita is originally from Kathmandu, Nepal and arrived in Penticton in July 2014. She is well educated with a Masters Degree in International Business from the University of Auckland in New Zealand and a Bachelor’s Degree in Communication. Nita also has extensive experience in international business development, marketing and project management. Her goal in Canada was to resume her career in Business Development and marketing. Nita first approached SOICS for information about the Okanagan Labour Market and enquired if any training opportunities were available. Employment staff provided her with information about the local labour office and assisted her to access an immigrant training program. As a result, Nita was able to complete an online Project Management Fundamentals course through UBC. Recently, Nita was a participant in a local Immigration Summit held at Okanagan College promoting diversity. Nita’s desire to secure employment in her field of study (marketing) was eventually realized as she was offered a full-time position as the Penticton Chamber of Commerce’s Membership Sales and Marketing Representative in August 2016. Prior to that she had worked in an administrative role with a local hotel. Congratulations Nita and continued success to her in the world of business! Hussam, born in Syria,immigrated to Canada with his family under the BVOR category sponsored by one of the refugee support groups in Summerland BC in March 2015. 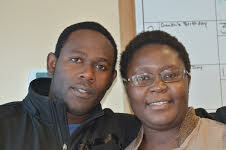 He and his wife joined our LINC classes to begin working on their language skills. After regularly attending the LINC classes and the conversation sessions in the summer, his confidence level began to increase. Hussam has training in calligraphy, and has created various pieces for staff and fellow classmates. He showed interest in pursuing his talent in Canada as one of the means to support his family. Most recently we were able to complete an application for him to participate in the local summer markets and showcase his expertise to a wide range of attendees each week. Hussam most recently obtained a Learner’s permit and is working towards getting his Driver’s License. Although he requires a licensed driver to ride with him to the local markets, it does not stop him from attending. His English is still improving however his motivation plays a vital role in using his calligraphy and artistic productions as income generation means. Hussam also makes time to help his fellow Syrian refugees in navigating the local systems and making contacts to integrate in the community. Magdalena was a settlement client before she joined the LINC program. Not having completed a high level of education in her home country of El Salvador, she was reluctant to begin learning English but wanted to work toward her goal of opening her own restaurant. Although she had a very low literacy level and struggled initially, Magdalena attended classes consistently and began to see an improvement. She was inspired to focus on her language learning outside of class and began working hard on improving her skills. She was encouraged through the LINC program to take ownership of her learning and was given the knowledge and tools necessary to bring her English up to the level that she felt she needed to launch her business. Magdalena also improved her self-confidence through participation in the LINC program and moved from not being able to have any interaction in English to having the ability to speak confidently in many situations. In April, she felt that she was ready to start putting her business plans into action. At this point, the LINC instructor and Community Connections Coordinator began working together to offer guidance and support as she proceeded through the steps needed to open her own business. Largely as a result of the services that she received over the course of several years at SOICS, Magdalena has secured a premises, created a menu, and will be opening her own restaurant in June. She has said, “Thanks to all your help, my dreams are real now.” Magdalena illustrates the outcomes that we strive to achieve when working with clients at SOICS. 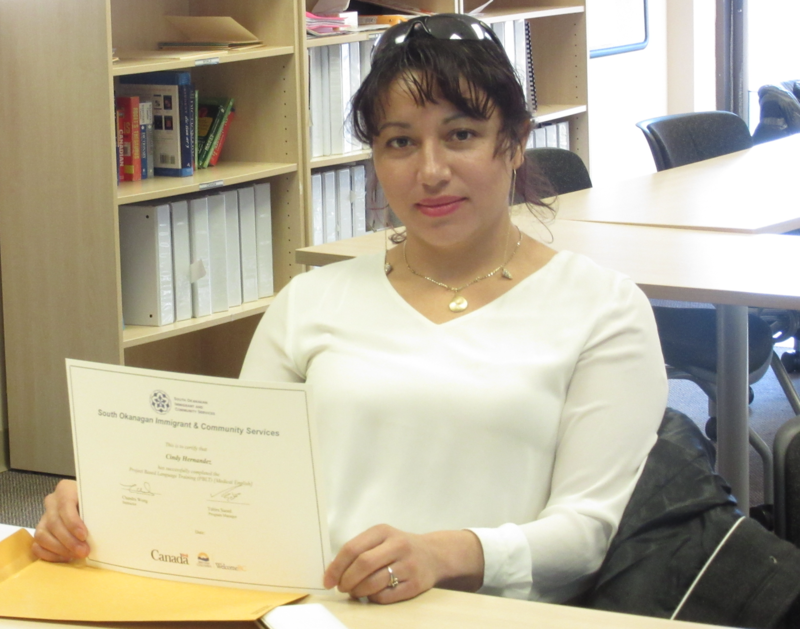 Sana joined SOICS LINC classes two weeks after she arrived in Penticton with her parents. Before applying for a job in the hospitality industry, Sana was eager to improve her conversational English. She began by attending the morning LINC class and then enrolled in the Medical English class during the afternoons. Sana was aware that employees who fit in and communicate well with the rest of the workforce would be able to contribute to its growth. She also knew that to be able to gain any employment in a new place, it takes time and a positive attitude towards overcoming barriers. Sana actively engaged in understanding the labour market requirement in Canada, whether it is in form of volunteering to gain Canadian experience and build networks, or in the form of engaging in a conversation with professional service providers. After completing the Medical English course, Sana attained her Food Safe certification. When she was offered employment at Tim Hortons, she requested the manager to arrange her schedule in a way that she is still able to attend LINC morning or afternoon classes. Next on her list of accomplishments is to obtain a Driver’s License. 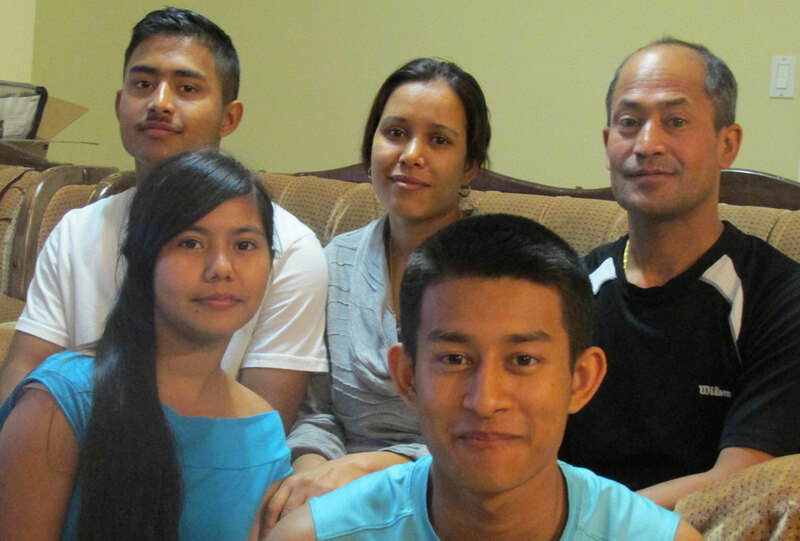 Chutikarn arrived from Thailand in 2014 and began taking English classes in the fall. It transpired that she is a wonderful cook and her aim was to have a stall in the Penticton Saturday Market selling Thai food. To get an idea of how it feels to sell food in the market, she attended the OneWorld Festival and stood with the representatives from Iyara Thai Restaurant. This confirmed her intentions and so her first step was to obtain her Food Safe certification. In April, she attended the Food Safe course at SOICS and successfully obtained her certification. Her next stage was to find a certified Kitchen in which to cook. Iyara agreed to partner with her so she needed to be approved by Interior Health in order to be able to sell at the market. With our guidance, she completed the necessary forms and received approval from an Interior Health inspector to sell at the market. She completed the Downtown Penticton Market application form, and took it to the Downtown Penticton Association where it was processed and Iyara and Chutikarn were given a stall in the market. On August 15th, Chutikarn’s intentions became a reality and she managed to sell everything that was on sale – a true success story!! Cindy was studying International Relations in university when her sponsorship came through and she had to leave El Salvador. She and her 18 month old son landed in January 2011 and she was working full time three days later. Her work in vineyard maintenance was physically demanding and left her with little time to learn English. Cindy soon realized that without English she couldn’t speak with her son’s teachers and couldn’t help him. She also understood that she needed English to gain the respect of her coworkers and supervisor. The only time she had to study was after 9:00 p.m.
Cindy’s first goal was to get her driver’s license. She failed until she learned she had to put more effort into studying. She worked with an adult literacy volunteer tutor in order to pass and then attended LINC classes at SOICS. After four dedicated years, Cindy’s English qualified her to take a Medical English program at SOICS and her CLB scores jumped two levels in some skills. In addition, she successfully completed WHMIS, FoodSafe and First Aid training. Cindy is still working in the vineyard but she now has new ambitions. 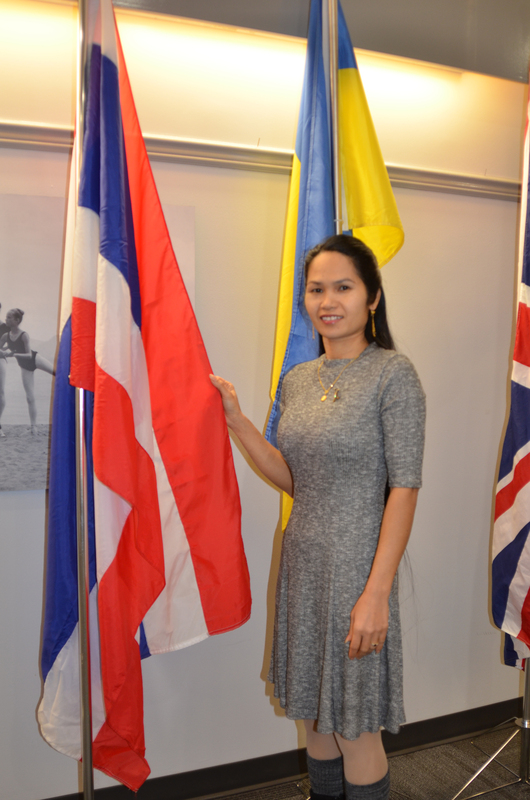 With her improved English and confidence, she has taken on leadership roles at work and has been recognized by her employer. She helped translate work manuals from English to Spanish to help establish operating procedures for the crew. Cindy is a determined newcomer who has a passion to improve life for herself and her family and she is quick to take on challenges that further her goals. Mohammad and his wife, Nesreen, and their three children were welcomed to Oliver on December 7. They didn’t take long to settle into their new home and then began a whirlwind of discovery, learning English, meeting other new refugee families and taking care of the health and well being of their own family. The Al Lwisis left Syria in 2012 and lived in a refugee camp in Lebanon before coming to Canada. They are expecting the rest of the family, Mohammad’s mother, sister and brother to arrive shortly. Both Mohammad and Nesreen attend LINC classes at PDMS/SOICS in Oliver. It transpired that Mohammad’s English level was sufficient for him to obtain a seat in the SOICS intensive Medical English program where, as well as improving his language, he is learning about the BC health system, cultural attitudes towards health care, aging, education, employment and other aspects of life in Canada. In addition, Mohammad has also taken FoodSafe, Level 1 and is practicing for his road test, so that he will be ready to drive himself and his family to their appointments, activities and, when he is ready, employment. Mohammad’s work background includes concierge and guest services in the hotel industry. While this may not be where Mohammad finds employment, his skills are appropriate for the South Okanagan. With the determination and progress Mohammad has shown, we are confident that he will meet all the goals he has set for his new life in Canada. 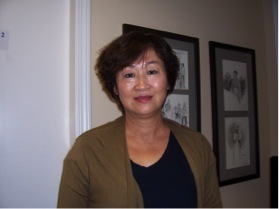 Tam began attending LINC classes immediately after she immigrated to Canada because her English was very low and she had problems communicating. After only 3 months of being here she required additional help due to the fact that her husband abandoned her and their five-year-old daughter. She found herself very close to being evicted from the motel suite they were living in because her husband hadn’t paid the rent when he left. She had no food in the house and Christmas was just around the corner. Today she attends beginners LINC classes in the mornings, while on social assistance and working part-time at a nail salon. Her daughter has adjusted well in grade one and is speaking English. Currently they still live in the same motel due to the fact that the owners have been very good to her, and it’s close to her daughter’s school. She has said she is prepared to start working more, with the goal in mind to get off social assistance. 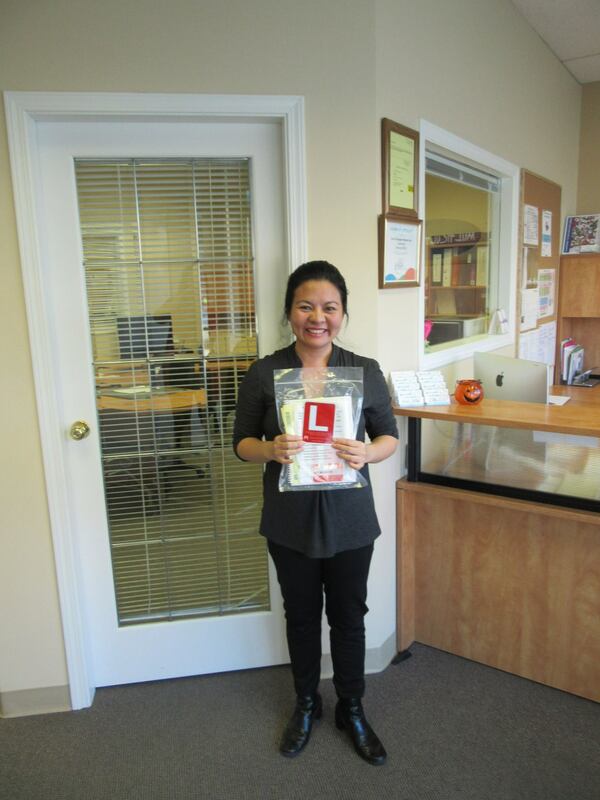 In October, after many tries and help from a mentor volunteer she successfully passed her Learners Driving test. Gagandeep registered with SOICS a month after arriving in Canada in 2014. 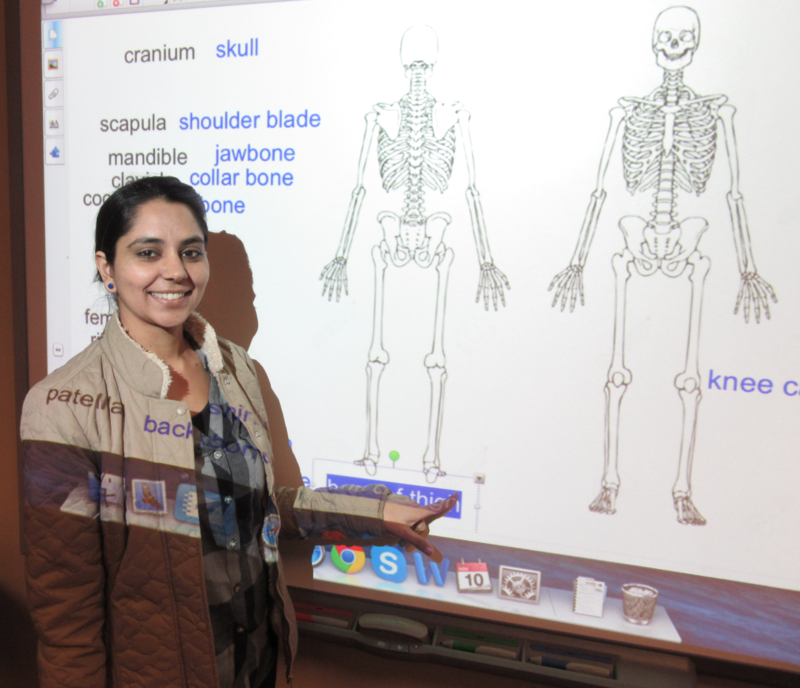 Her goal was to use the nursing training she had received in India to become a BC healthcare assistant. We helped her apply to have her credentials assessed by ICES and then helped her apply to the Introduction to Health Care Assistant Practice course at Nicola Valley Institute of Technology (NVIT). A “small” delaying factor was the birth of her daughter in the middle of working towards her goal. The requirements for becoming a BC healthcare assistant have becoming progressively more stringent. The letter of reference from the hospital in India where Gagandeep worked was not accepted and she had to request a new letter, using the format supplied by the registry. 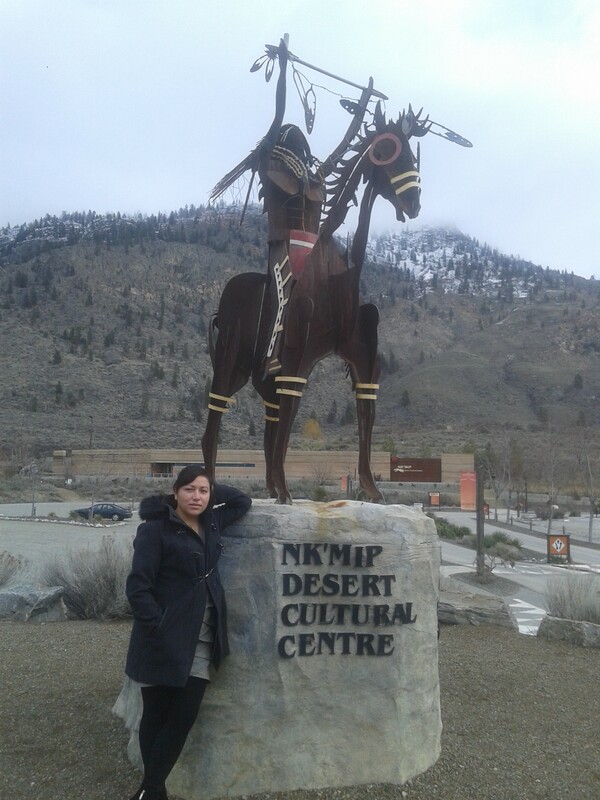 NVIT did not have a class available when Gagandeep registered in June 2014 and it wasn’t until August 2015 that she was finally able to take the course. In January 2016, Gagandeep received her BC Healthcare Registry number and updated her resume to apply for work. This June (2016), Gagandeep will have completed an eight-week practicum with Sprott Shaw College, giving her Canadian experience. She’s enjoying the practicum and looking forward to working. While her Permanent Residency was in its final stage of processing through BC PNP, Coleen decided to move from Osoyoos to Penticton to avail better employment opportunities. Families in transition or in the process of moving from one town to another, like in this instance where a new PR sponsored her spouse and child to move here, now suddenly need larger accommodation or have a job, which requires her to move. These new opportunities bring with them a set of difficulties. One major difficulty is registering the child in a school because they don’t have proof of residence. And finding a rental property for new immigrants is very competitive in our region because they are competing with Canadians who might have a better understanding of the renting process and are able to market themselves as desirable tenants. We assisted in locating a child friendly accommodation within her price range and explained the rental application process including references and rental history. Coleen was eager to point out how the tenancy rules and regulations are different in her home country where once a family finds a place and say they want it, they are able to get it once they pay for the rent. Today Coleen is settled in her new job, her husband secured a job in his own field, and her son is enrolled in a school, which is a mere walking distance to their apartment. We assisted her in applying for additional benefits such as CCTB, after school care for her son, and MSP. Coleen continues to work hard to improve/develop her professional skills and her families’ life here in Canada. SOICS referred her to a free course being offered at Sprott Shaw College (The Administrative Skills Training Employment program), which she has been attending regularly. Jaspal has a goal to become a Registered Health Care Worker. In order to achieve this goal, Jaspal requires level 7 in the CLBPT, a Heath Care Worker program and acceptance to the BC Care Aide and Community Health Care Worker Registry. Jaspal began by taking LINC classes in the Oliver office in August 2013. She also attended SOICS’ Literacy Kitchen, a series of cooking classes in English. From April of this year, she worked closely with a mentor to polish her writing skills. 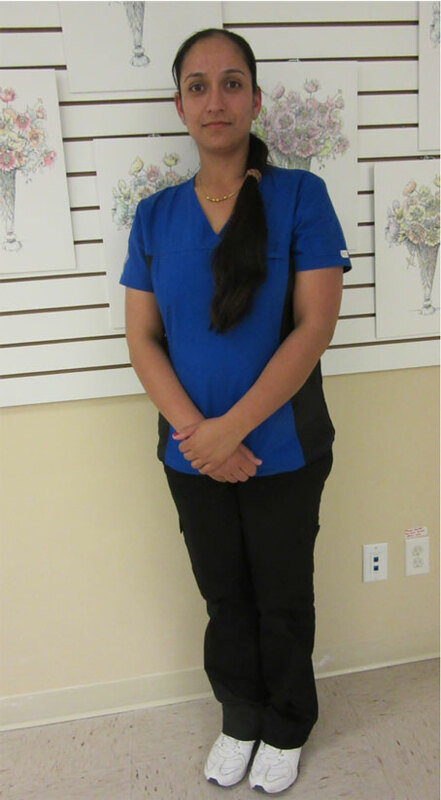 This September, Jaspal passed CLB 7 and she is registered with Sprott Shaw College to take Health Care Assistant training at Mariposa Gardens, a residential care facility in Osoyoos. Jaspal understands that it can take years to achieve a goal and we are proud of her perseverence. Adriana was born and raised in Santa Catarina, Brazil. She immigrated to Canada in 2011 and moved to Penticton shortly thereafter with her husband. She has been dedicated to attending our Language classes, and is now in the intermediate classes and looking to apply for Canadian Citizenship. 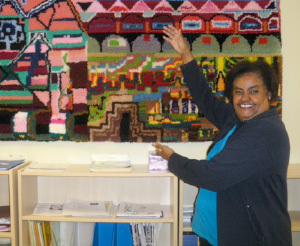 PDMS/SOICS helped her to overcome her fear of speaking English and achieve her goal of being an active part of the community.We connected her to a free volunteer sewing program in the summer of 2013 supported by a Community Connections volunteer mentor. With her mentor’s support, Adriana felt more comfortable speaking English and this boosted her self-esteem. In response to her new found confidence, she has been an active up cycling volunteer with our local women’s center for almost year. There she uses material to make aprons, blankets etc. for the center to give away to those in need or to sell to support local women’s shelters. Aasfi, born in Dhaka, the roaring metropolis of Bangladesh, relocated to Canada at the age of eleven and made it her purpose to thrive and prosper in this foreign land. She enrolled in Tait Elementary in grade 5 and quickly became accustomed to the culture and adapted to Canadian society, all while maintaining good grades and athletic commitments. After a year of residing in Richmond, she and her family moved to Penticton, B.C. It’s graded hills and serene lakes gave the valley a certain mythological semblance that she found irresistible. It was as if she had been transported into one of the fictional lands within the books she loved so dearly. At McNicoll Park Middle School, Aasfi repeatedly won awards for academics, community service and athletics. She participated in numerous volunteering initiatives in and outside of school, such as Toys for Tots, creek clean ups and breakfast club. She travelled to Vancouver with her classmates in 2014 to partake in We Day, which was an amazing, eye-opening trip that really helped fortify her desire to make a change. From the very beginning of grade 9 at Pen high, Aasfi has worked relentlessly with the leadership class to make the community better with events like health week, which promotes a healthy lifestyle for all students. She has spent almost 40 hours after school at McNicoll to tutor students in need of math assistance. World hunger is one of her driving passions and Aasfi, alongside a few other students, participated in a 24 hour long fast to promote and collect funds to help combat this issue. Although, Aasfi spent much of her time on community services, academics were always her priority. She worked hard to get what she wanted and by the time she graduated from McNicoll, she had acquired more than a hundred certificates and almost $200 for reading, multiple medals, including the athletic excellence, and a whole array of other awards for things such as fine arts and English. Throughout the past few years she has maintained a steady straight A report card, and even scored 100 in English. She is determined, goal-oriented and she thrives under pressure. Her meticulousness forces her to aspire to perfection in regards to everything she does and she never backs down from a problem. Bishal, a young immigrant from Nepal, took it upon himself to make friends, become fluent in English language, and take charge of his own decisions. In 2014, he joined Grade 10 in the 2nd semester a week after he arrived in Canada. Bishal struggled in school due to language barrier and isolation. During the summer he worked part-time at a local restaurant, which remained busy throughout the week. Besides greeting customers, Bishal took the opportunity to engage in a conversation with numerous customers to overcome his shyness and build his confidence. He was determined to return to school in September and make friends instead of waiting to be approached by his classmates. When he joined Grade 11, he actively reached out to teachers and students to inquire about course selection and extra curricular activities. Bishal religiously played cricket in Nepal and was committed to make a career out of it. When he didn’t do well in the PE course in Princess Margaret School, he, once again, rose to the challenge and actively searched local opportunities within sports. He began playing ping-pong in school and won the school championship for two consecutive years. He then moved on try his hand in tennis and joined the local tennis club as a beginner, today he plays in division 3. What started with a fun activity became a medium to instill more discipline in his life style and attitude. 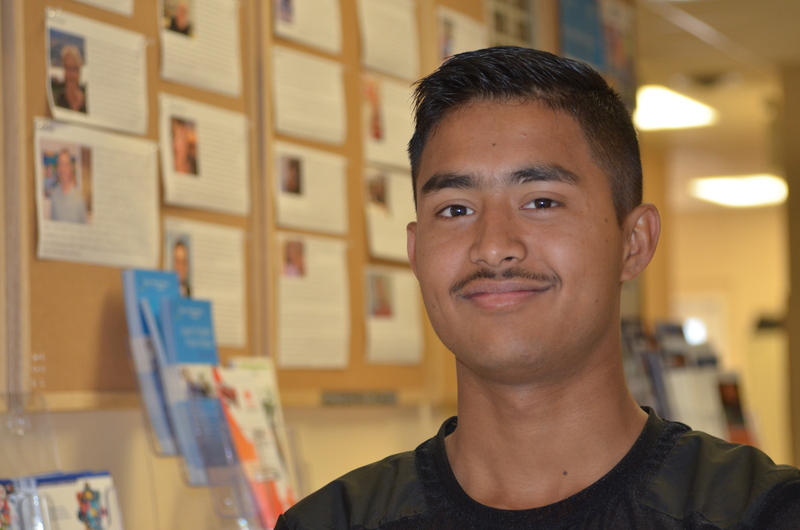 Bishal recently obtained his Driver’s License, is enrolled in the Trades program, and is fluent in four languages. He excels in Math and chose to go in Trades because he wants to be employed immediately after completing college. SOICS looks out for individuals like Bishal who are conscious of their own inhibitions as well as abilities and invite them to share their personal motivations to inspire other newcomers. Bing came to Canada in 2013 when she was only 15 years old. She is a grade 11 student attending Princess Margaret Secondary School. Bing is passionate about Arts and devotes all of her leisure time in painting and drawing. Bing also excels in Math. Bing started volunteering with SOICS in the fall of 2014 primarily because she enjoys meeting new people and making new friends. Our community connections coordinator put her in charge of organizing a Youth Art Group for SOICS. Bing began by researching all local artists and approaching them to inquire the possibility of delivering a workshop sessions for the immigrant youth in SD 67. She paid a visit to our local Lloyd’s Art Gallery to meet with Nel Witteman, who has a wealth of knowledge, creativity and skills in the use of Water Colours. Bing also designed a festive holiday greeting card for SOICS. Joy Wang was born in Beijing in 2000 and has a younger sister. 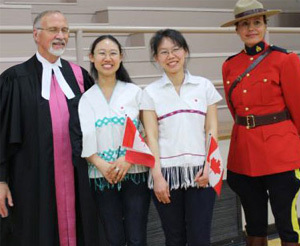 Although Joy immigrated to Canada with her family in 2002, her family went back to China after 14 months. They returned to Canada in September 2005 when Joy was ready to go to school. At a young age, Joy often accompanied her mother to the Oliver SOICS office, where her mother was enrolled in classes to improve her English language skills. Joy skipped grade 2 due to her academic excellence, the sciences being her main strength as she has a 99% average. 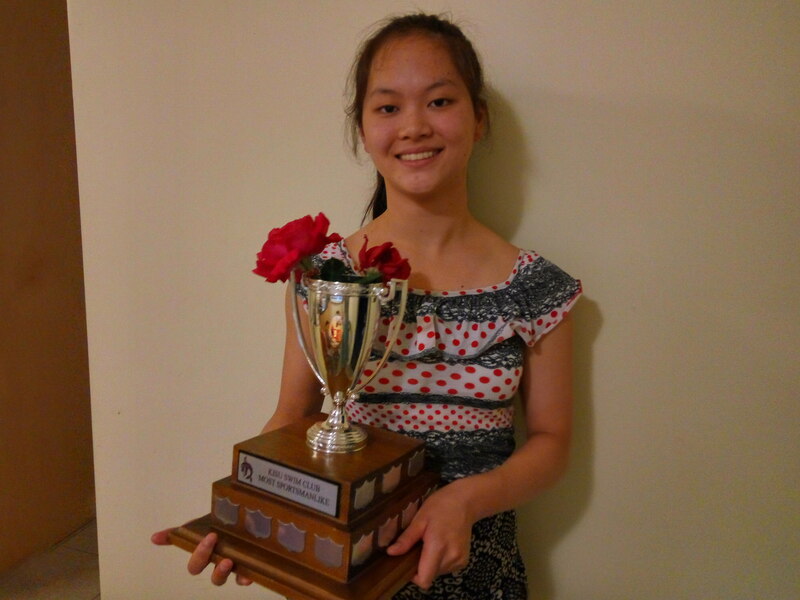 When she was in grade 8, she was one of the 6 people chosen from KVR Middle School to compete in the British Columbia Secondary School Mathematics Contest. Joy has a knack for languages, too. She picked up the South Okanagan language while she was in kindergarten and is now concentrating on learning French. She is now in grade 12 and continues to volunteer at the hospital. She plans to go to medical school and study to become a pediatrician. Joy has been a competitive swimmer for Penticton’s Kisu Swim Club at the provincial level. She has now moved on to coaching young swimmers for the same Club. In 2016, Joy entered into the Miss Penticton program hoping to become an ambassador for Penticton. She fondly reflects back to the learning experiences, which she participated with 7 other participants. Through the contest, the participants learnt a wide range of skills including public speaking, excellence in customer service, and tourism promotion. They also studied the history of Penticton, time and money management, organisation skills, teamwork skills, modeling, etiquette and strengthening self esteem. She enjoys reading, drawing, painting, and in her spare time, plays the piano. In the past, she has face painted at events for SOICS and is one of the artists for our Greeting card contest. Born and brought up in Kosovo, Brikena came to Canada in 2009 with her parents, who at the time held Temporary Foreign Work permits. Once they received their permanent residency in 2012, Brikena began planning for her future. Currently enrolled as a full time student at OK College, she aims to complete her Bachelor of Science in the Nursing program. Since grade 11, Brikena began saving funds for her tuition fees for the nursing program. On various occasions she has held two jobs and also made time to accompany her parents as an interpreter wherever they need to go. One of her parents is unable to work because of rheumatoid arthritis. “Everyone must have a source of inspiration and encouragement in their lives. As for me, my source of inspiration is my beloved parents. My parents are very hard working people who did everything they could for their children. I have an older brother and a younger sister and they worked hard to give us an education and provide us with the most comfortable life possible”. In 2014 she received the District Scholarship, Passport to Education Award, the Len Cox Memorial Scholarship Bursary, and the Okanagan College President’s Entrance Scholarship. With a combination of scholarship, bursary and summer job income she manages to pay for my tuition, student fee, housing, food and textbooks. “I enjoy volunteering because it often lets me get closer to a community and the people”. She has volunteered at the Penticton Regional Hospital, Fitness Facility at Okanagan College, 10,000 Tonight Food Drive, and for OK College Half Marathon race. She describes herself as a responsible and a hard-working student who doesn’t shy away from dealing with challenging tasks. 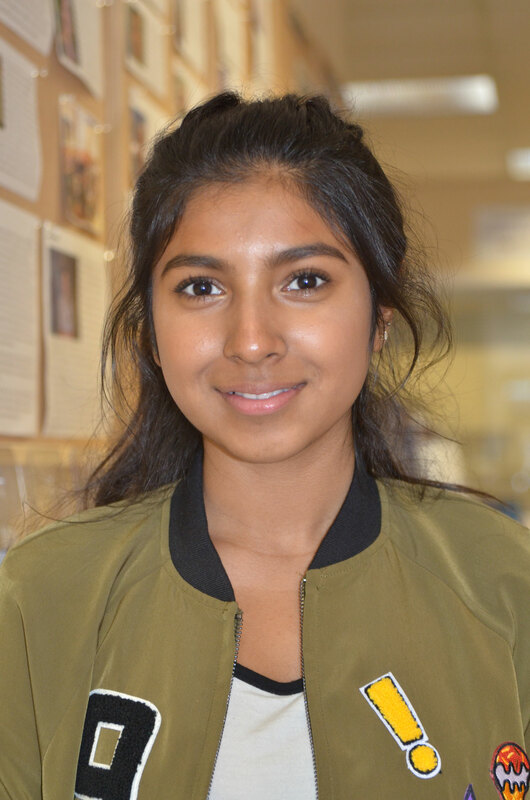 Her friends describe her as “caring, overachiever, confident, ambitious and understanding” while her instructors describe her as “ a hardworking, academically oriented student who earns good marks and has significant post-secondary goals”. “My goals are to integrate best practices in nursing education to promote student success, graduate in 2018 from the BSN program and engage in continuous education. My motto in life is “Dream as if you’ll live forever. Live as if you’ll die today”- James Dean. SOICS is proud of young immigrant such as Brikena who are indirectly sharing our responsibility to integrate immigrants with language barriers. Doris Benitez Molano has been with SOICS LINC classes since 2011 after emigrating from Columbia in 2010. Although her English speaking ability has improved, she has not stopped coming to our LINC classes. She has been diligently attaining courses and working towards improving her language skills. Her goal is to complete requirements for Grade 12 graduation and take the Language Proficiency Index (LPI) exam. She has notebooks jammed full of English vocabulary and tries to learn at least one new word or phrase everyday. Most recently, she received her Learner’s driving license. Her confidence level is at a point where she is now encouraging other Spanish-speaking housewives to continue coming to LINC classes. She is an enthusiastic Scrabble player and mentors Spanish speaking newcomers to facilitate their integration into Canadian society. As an example, she encouraged a few clients with lower levels of English to attend a FoodSafe program and also volunteered to translate for them in class. Doris is now looking forward to her upcoming citizenship ceremony; she has been a rewarding addition to her church, her community, and Canada. 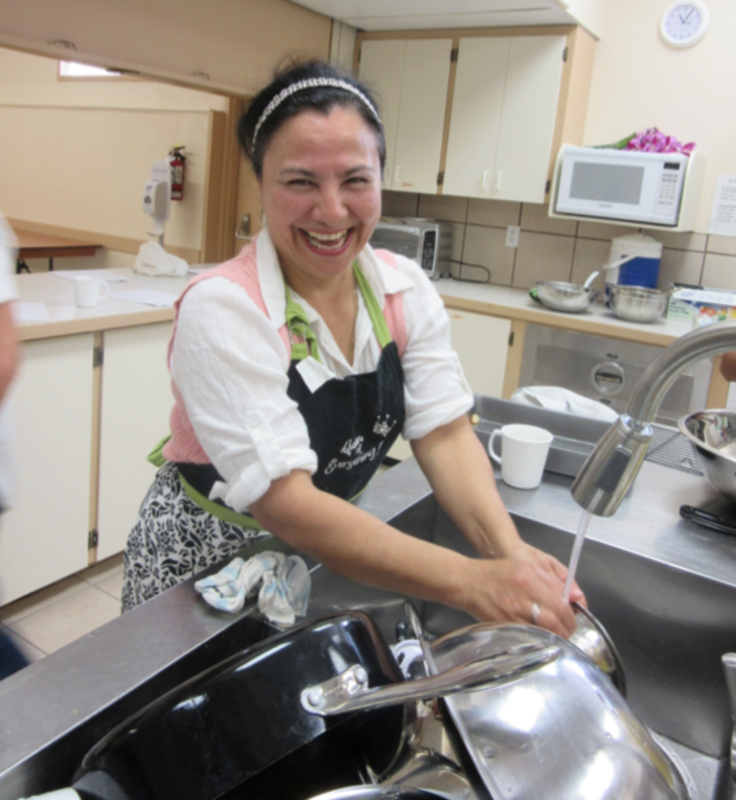 Mariela is originally from Honduras and moved to Penticton in 2014 with her boyfriend. She previously worked in the Hospitality industry in Roatan, Honduras. She came into the SOICS/PDMS Office requesting job search assistance. SOICS/PDMS assisted her to revamp her resume and cover letter and referred her to Pro-Hire Solutions, a local Personnel Recruiting Agency. She was immediately hired as an Administrative Assistant and Data Entry Clerk. Mariela is grateful for the assistance that she received and refers other Latinos to the SOICS/PDMS office. Wey immigrated to Canada in December of 2012 to reunite with his wife who was living in Penticton. His English language skills at the time were very low and Wey knew that if he wanted to succeed in Canada he would have to improve it. He signed up for LINC classes at SOICS where, according to the instructors, his enthusiasm and determination was evident from the start. Wey was able to get a job working in a restaurant kitchen because it required little English skills. He then began taking English classes at the college in order to fit in his studies with his new job. After only being in Canada for a year and a half his English had improved enough that he was able to get a new job building outdoor furniture at the Outdoor Living Ministry. Wey continues to attend LINC classes at SOICS because he has the time and prefers the interactive approach that teachers bring to the class. Wey is a dedicated student who attends classes 5 days a week and practices an extra two hours a week with a tutor. Since he came to Penticton, Wey had been riding his bike because Penticton’s transit system is not as advanced as Vancouver’s. Wey was focused on getting his driver’s license and requested for a mentor to help create a realistic plan and help him get a Driver’s license, which he finally achieved. His long-term goal is to improve his English enough to become a police officer. Shu immigrated to Penticton B.C., Canada in May of 2013, when she married her husband. Shu Mei has a passion for business together with her husband run a very successful home business, importing goods from China. Attending regular English Classes as well as practicing her English in conversation group, has helped a lot to improve Shu Mei English and confidence. She is currently also working at Lachi Restaurant. Since starting LINC class, one of Shu Mei’s goals has been to have short, friendly conversations with her neighbours in her apartment building. This month she came into her morning class with a radiant smile, the reason? On her way out of the building she had had a conversation with her building manager in which both parties had understood everything! Small as it may seem, it was a huge accomplishment for her and we are all very proud. 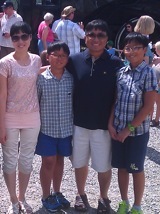 Mi and her family immigrated to Canada from Korea two years ago. Mi Hyun attended Language classes at SOICS regularly to advance her speaking abilities from the beginner’s level class to the intermediate level. Mi Hyun’s attendance in the Language class was next to perfect, which spoke of her determination to integrate in the local community. As a hobby artist, Mi Hyun does traditional Korean water colour and contemporary art. Participating in the language classes also contributed towards building her confidence. The integration process encouraged her to consider participating in the Saturday Farmer’s market. With the help of a SOICS staff member, Mi Hyun filled in the application and got connected her with the DPA team. She is using her artistic skills. 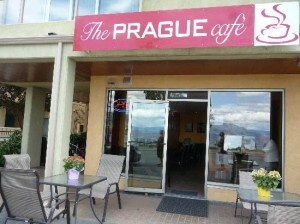 Congratulations to Daniela and Michal who opened the doors of a small café called The Prague Café, on Marina Way, in Penticton. Daniela and Michal came to Canada on temporary foreign work permit. They applied for immigration through the BC Provincial Nominee Program (BC PNP) and received their permanent residency two years ago. With a dream of building their lives in the Okanagan valley, their knowledge of business and love for Czech food they chose to become business owners. Daniela and Michal said the process of achieving their dream of opening up a small business was very challenging but they learned many valuable lessons along the way including the importance of being open and accepting of Canadian culture. In order to succeed, they participated in the conversation clubs and took advantage of networking in the community through SOICS. My name is Thaw. I was born in Burma-Myanmar but due to the civil war, my family and I had to flee from the war zone and live in a Thai-Burma border refugee camp. I remembered asking my mother one day about my citizen status. My mom pulled out a piece of paper of my sisters and my birth certificates under our bed. It was a huge piece of paper but useless. My mom kept that just for memories and record. I grew up in a refugee camp and lived there for 16 year. The size of our refugee camp is 10 square km with more than 50 thousands people living in it. I finished my high school and took Bachelor Theological Studies and got the highest degree in the camp in 2002. I could not continue my studies anymore because I wasn’t Thai nor Burmese. Although I’m Karen (one of the ethnic groups in Burma), I didn’t belong to any country. I cannot go outside the refugee camp; therefore, I became a nursery school teacher after I graduated from the Bible College. In December 2006, through the sponsorship of the First Mennonite Church in Edmonton, my sister and I came to Canada as refugees. Four years of upgrading, learning both in school and daily life in a new country, my sister and I became Canadian citizen on May 11, 2011. I’m so proud to say that I’m a Canadian – my first time becoming a citizen through out my entire life! Shehnaz came to SOICS in September 2012. As an Oliver resident with narrow community ties to Oliver, Shehnaz benefitted from the daily contact with staff and clients. She began with basic computer training and joined the ELSA class. Once she was comfortable, she began mentoring other clients and, when an opportunity to work part-time cleaning the office presented itself, she was prepared. 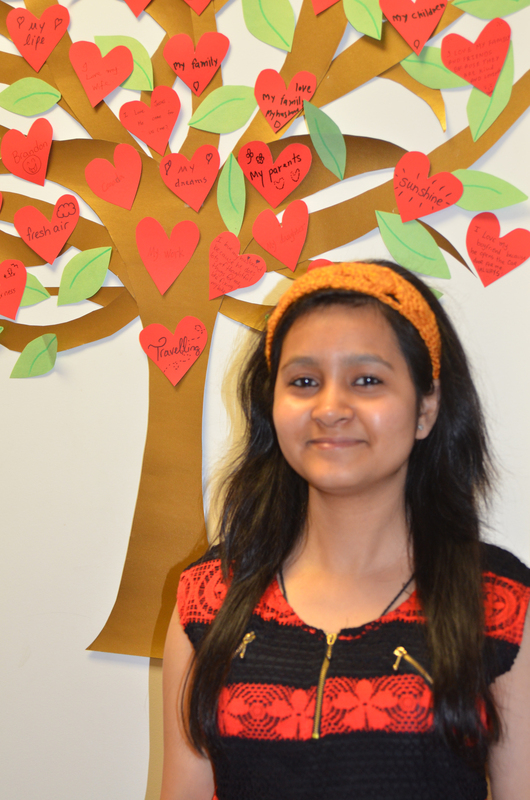 Shehnaz is now an integral member of the SOICS team, as an employee, volunteer and mentor. She has gained confidence in her community interactions, has met new people, and is taking classes at the Learning Centre. We are very proud of Shehnaz’ progress. It was our lucky day when she walked through our door. Ping, and her daughter Snow, immigrated to Canada from China just a few years ago. At first it was difficult adjusting to life in the Okanagan, there were many challenges they needed to overcome. Luckily for the two of them they found South Okanagan Immigrant and Community Services who helped them navigate life in Canada and provide support along the way. WelcomeBC’s Settlement and Integration Program funds SOICS’ programs, which enabled them to learn English, make new friends and build the confidence they needed to start their new life. 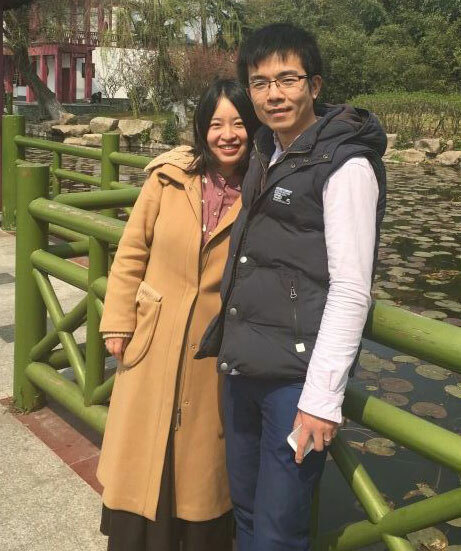 Wei and his wife Yiyang arrived in Penticton from China in April, 2016. They both approached SOICS for information on the local Okanagan labour market and enquired about what jobs were available in the area. Wei has a Master’s Degree in Chinese/English Translation and was looking for work as a Translator. He has worked in the translation field for major companies in China and the UK for over 10 years. With the assistance of SOICS, Wei was able to enroll with the Society of Translators of BC (STIBC) to become a certified Translator. After a couple of interviews, Wei was offered a full time position as a Chinese/English Translator with a new winery in Oliver called Fountain Creek. He will assist the General Manager developing and serving the Chinese clientele among other duties. The job will start in late July and Wei and Yiyang will relocate to Oliver. They are both very excited to begin their new life in Canada. Wei and Yiyang are very appreciative of the assistance that SOICS provided them and encourage other immigrants to utilize the services offered at SOICS. Good luck in Oliver and welcome to the beautiful Okanagan! Manjot was born and raised in India. She immigrated to Canada in July 2015 and moved to Penticton. She has a Bachelor of Science in Nursing Degree from India and has worked as a Staff Nurse in India for 2 years. 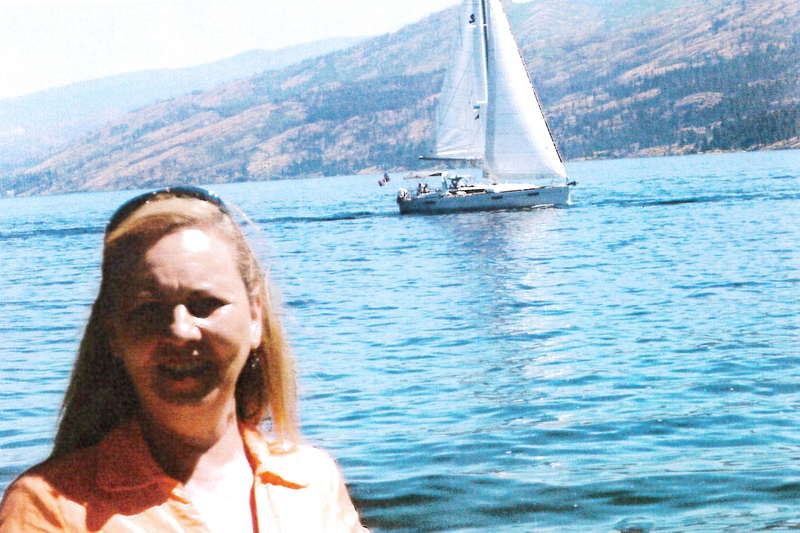 Her goal is to resume this work in Penticton and receive her designation as an HCA. SOICS helped her to achieve these goals. It provided assistance to have her Nursing credentials evaluated by ICES, complete the HCA Introduction to Practice course and Standard First Aid & CPR. Assistance was also provided applying to the B.C. Care Aide Registry and with a targeted resume and references. Manjot also recently completed a new government sponsored Medical English program at SOICS. Upon completion of the HCA Introduction Course, Manjot registered with the BC Care Aide Registry and was given a HCA number, which allowed her to work in BC. She was interviewed by Village By the Station Care Facility in December 2015 and offered a full time position commencing in January 2016. Throughout the time that Manjot was at SOICS, she continually expressed her gratitude for the assistance that the different programs provided her and was grateful of the training funds and assistance that she received. Congratulations Manjot – your hard work and diligence paid off! Good luck with your Health Care career in Canada. Mfadel Fikri is originally from Morocco and moved to Keremeos, British Columbia in October 2014. He has an Industrial Electrician Diploma from the Professional Qualification Centre in Morocco and has over 7 years experience as a Residential & Industrial Electrician. His long-term goal is to become a Red Seal Certified Electrician in British Columbia. 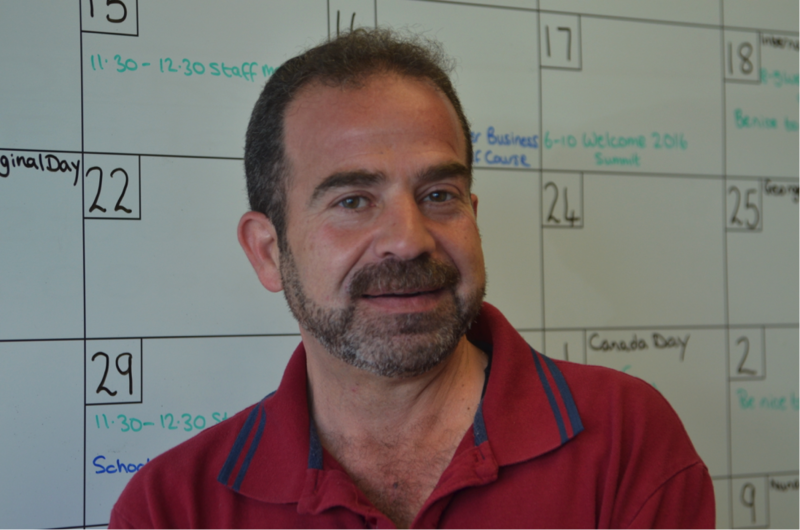 Mfadel initially came into the PDMS/SOICS Penticton Office requesting Job Search Assistance and Labour Market Information specific to the Electrical Trade. While Mfadel had Trade credentials, his documents were in Moroccan/French so the first task was to assist him to have his credentials translated into English. While Mfadel had 7 years experience working as an Electrician, his experience was acquired in Morocco so Employment Staff helped him to acquire BC specific Electrical Code material/manuals. Following that, a Trades/Electrical specific targeted resume and cover letters were prepared directed to local Electrical Contractors. Local LMI on the Electrical Industry/Sector was also made available to Mfadel. Mfadel’s efforts paid off as he was hired by Southwood Retirement Resort as an Electrician Assistant/Labourer in Spring, 2015. Not content to work as an Assistant/Labourer, with the help of PDMS/SOICS Employment Staff, Mfadel pursued an Electrical Apprenticeship. Once again, Mfadel’s persistence and motivation paid off as he was offered a full time position and sponsored as a First Year Electrician Apprentice with Keldon Electric in Penticton in June 2015. Silvia is originally from Guatelmala City, Guatemala and immigrated to Canada in 2008. She relocated to Penticton in 2013. Silvia worked for many years as a Math and English Teacher in Guatemala City and has a Teaching Degree from the University of Guatemala. After immigrating to Canada, Silvia’s goal was always to return to teaching and with SOICS/PDMS assistance, she was able to do this. SOICS assisted with having her credentials translated and evaluated and as a result, Silvia was able to acquire work with the 360 Learning Academy as a Math Tutor in 2014. Good work Silvia! Yuki was born in and grew up in Japan. She immigrated to Canada in 2007 and lived briefly in Keremeos with her son before moving to Penticton in 2013. She attended Sugiyama University in Japan and completed her training in Medical Office Administration. In Japan, she worked as a Medical Office Administrator and her dream was to work in the same field in Canada. With the help of SOICS/PDMS, Yuki completed the Medical Office Assistant Program at Okanagan College in Penticton in 2014. Upon successful completion of the MOA program, Yuki was offered a full-time position with Apple Plaza Medical Walk-In Clinic as a Medical Office Assistant. Congratulations Yuki! 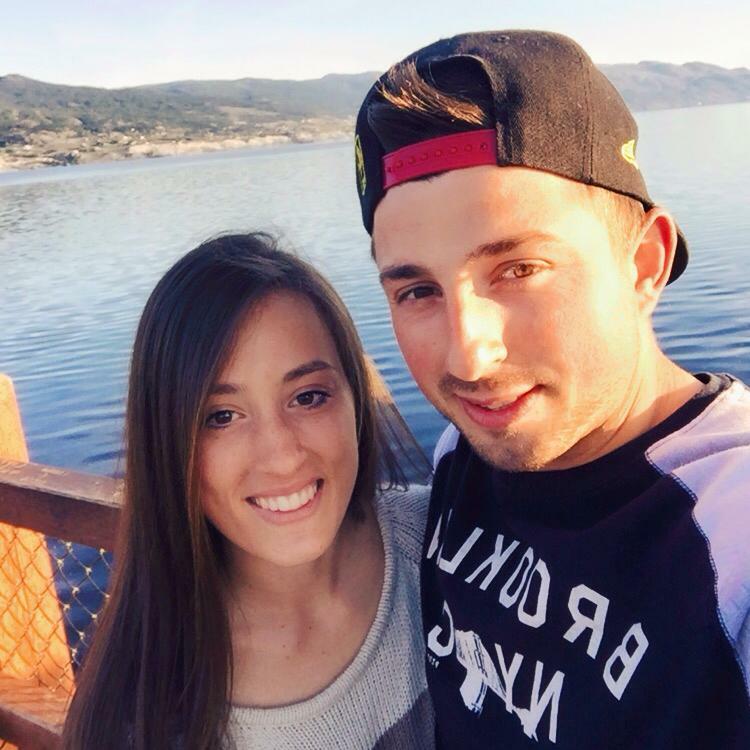 Enrico is originally from Germany and moved to Penticton in 2015 with his wife. He has a diverse employment background and has worked as a Veterinary Assistant and Food Caterer among other things. He always had an interest in the Trades however, and decided that he would like to pursue a career as a Welder in Canada. Enrico approached SOICS requesting assistance in completing his Level 1 Welding Certification Program at Okanagan College. SOICS staff provided counseling and support towards Enrico successfully completing the course in addition to helping him with his course manuals. Enrico is well on his way to becoming a Red Seal Journeyman Welder as he was hired by Ripley Stainless Welding in Summerland as a first year Welding Apprentice. Enrico is enjoying his new welding career and is happy that he made the decision to enter the Trades. He is also thankful for the support that SOICS provided him and encourages other new immigrants to visit SOICS. Congratulations Enrico and good luck in your new profession. Stephen, is originally from the Philippines, immigrated to Canada in 2015 and resides in Osoyoos. He has a Degree in Electronics and Communications Engineering with experience as an Instrument Engineer. His primary goal in Canada was to become a certified Instrument Technician in BC. 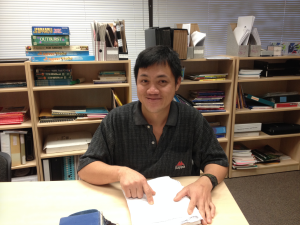 SOICS employment counsellor provided professional guidance and assisted him in understanding his new career path. He directed Stephen to complete his Instrument Certification application, H2S/WHMIS/First Aid and challenge the Red Seal Certification for Instrument Technicians. Stephen’s hard work and diligence eventually paid off as he was offered a position as a Fibre Optics Installation Technician with L & B Communications based in Kelowna in January 2016. Stephen is appreciative of the support that SOICS provided him and encourages all new immigrants to utilize employment services and to each of their individual employment challenges with conviction. We wish Stephen Good luck with his new career. Davinder is a recent immigrant from India who came to Canada as a new bride in 2010. She joined our LINC class to get over her shyness, boost her confidence level, and enhance her English pronunciation. After having her first baby, Davinder returned to SOICS and inquired about enrolling in the Skills Connect program. She was eager to acquire Canadian certifications and actively sought out course requisites and timelines in the Health Care sector. With the assistance of the Skills Connect program, Davinder enrolled in and completed the Health Care Assistant Program at Sprott Shaw College. Through our employment services, she created her resume and prepared cover letters. Davinder requested for a mentor to assist her with understanding some of the course workload. She continued to meet her mentor after the course completion in order to prepare for interviews. She graduated in May and was offered a full-time position as a Health Care Aide with the Hamlets at Penticton with a starting wage of $17.40/hr. Clad in her new uniform, Davinder came in to share her excitement in securing this position and began her brand new career in Canada in the Health Care field. She credits the Skills Connect program as being one of the key reasons she was able to afford and complete the Health Care Assistant Program. She is now actively promoting it to others in her community. Jeannete is trained in yoga, reiki, cranio sacral therapy and polarity and offers relaxation massage through a spa in Oliver. In 2012, Jeannete registered for the Skills Connect program through SOICS to further her yoga studies. 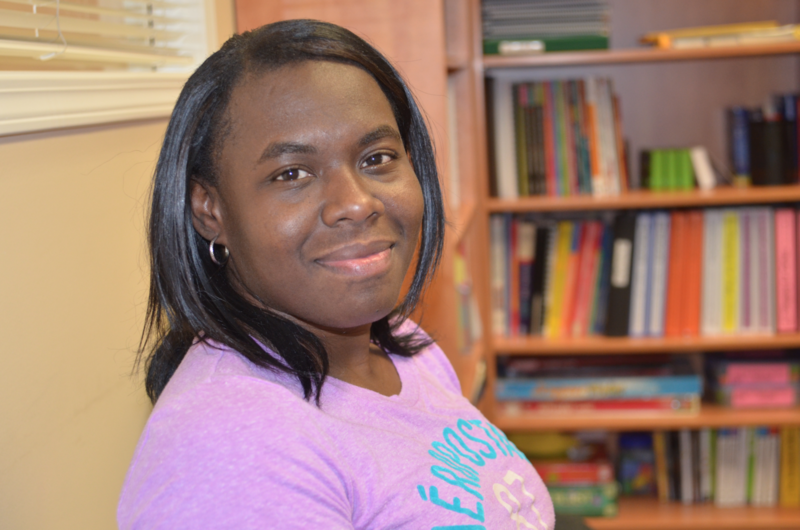 In 2014, Jeannete registered for the Responsible Adult course while working towards citizenship with LINC classes. Jeanette is also a volunteer with SOICS, providing Spanish interpretation. Jeannete understands the value of networking and is building her skills for employability. Through numerous events have held her back, Jeannete has striven to provide an independent and enriching life for herself and her son. We are proud of her commitment, determination and success! Rafael is originally from Bandung, Indonesia and moved to Osoyoos, BC with his girlfriend. He holds a Culinary Management Diploma from Bandung Institute of Tourism and has over 15 years of experience as a Chef. To advance his career and to enable him to work as an Executive Chef in Canada, Rafael needed to secure his Red Seal Certification as a Chef. With the assistance of SOICS/PDMS Employment Services staff, Rafael successfully challenged the Red Seal Certification exam in July 2014. Shortly thereafter, Rafael was offered an Executive Chef position with the 5 Star rated Delta Hotel Kananaskis. Rafael is grateful that the SOICS/PDMS Employment Program was available to him and credits it with allowing him to pursue his dream of becoming an Executive Chef. He also encourages others to take advantage of the program and pursue their own dreams. Canada is made up of over 200 ethnic origins, with thirteen of those ethnic groups having Canadian populations of over one million. More than one in five Canadians is born outside Canada. Although Penticton is a city with approximately 40,000 residents, there are many first and second-generation immigrants who call Penticton home. These individuals come from diverse backgrounds enriching us socially, culturally and economically. With the beginning of New Year, SOICS is launching its most recent project Through Our Eyes: An Immigrant Experience. The project aims to share insights from some of our less-vocal immigrant communities. The project will highlight the multicultural faces of Penticton and feature a synopsis of their stories. Through this venture, we have encouraged participants to share how being an immigrant shapes their approach to integrating into the fabric of Canadian society. Whether it is starting a business, dealing with government officials, forming new friendships, or searching for ethnic ingredients in the local grocery stores, immigrants often attempt to strike a balance between their natural habits cultivated from their country of origin and the adjustment that they make in their adopted country. These individual stories make up the diversity in the Okanagan. During our oral interviews with them, we ask participants two specific questions: what is the one thing that they brought with them when they came to Canada and what do they take from Canada when they visit their relatives and friends in their home country? The idea behind these two questions is to offer audiences insights into how newcomers prepare themselves for Day 1 in Canada. These participants immigrate to Canada from various backgrounds, many of whom have never been exposed to the Canadian way of living. Participants have often shared how some of us, who have been living in Canada for years, take things for granted such as access to hot water, safe pedestrian crossings, systematic garbage collection routines, personal space, minimum wage, luxury of convenience, etc. Things that may seem so trivial for people in Canada are often challenges and/or luxuries for people from another country. When we hear about their life experiences, we realize how complacent we have become about our country and these newcomers shake that indifference. On the flip side, these life stories also shed light on the fact that relocating isn’t for everyone. Immigration is a huge adjustment, with the first five or 10 years after arrival being the most difficult. The transition from one country to another is a stressful experience for the majority of immigrants. It is hard to digest and adapt to another culture, value system, lifestyle and language that is entirely different to the one they were born in. The challenges are many, but every first generation of immigrants is building the foundation for the future – both for themselves and Canada. SOICS’ interaction with immigrant participants through this project has been full of surprises. The informal interviews highlighted their triumphs and trials, which generated thought-provoking conversations around geography, migration, and a sense of belonging. It furthers our understanding of recent Canadian immigrant’s life experiences and concomitantly their resilience. In addition, participating in an oral history interview is a meaningful way for a first generation immigrant to document his or her story for future generations and share experiences and memories with other Canadians. In the coming months, SOICS will share digital images (photographs and documents) and a written story collection of “first” experiences, thoughtful remarks of where “home” is, and reflections on leaving friends and family to come to Canada. These monthly releases will also include a delightful range of surprising, funny and relatable quotes from our collections. Immigration has always been, and continues to be, Canada’s story. Whether the stories that unfold through this project are from days gone by or as current as today, there is benefit in providing an avenue for the community to understand and reflect upon the enormity of the decision to leave one’s homeland behind for an unknown future in a foreign land, and the reasons for doing so. In a world where different cultures sometimes collide in horrific ways, understanding another person’s point of view could be an antidote for some of our society’s ills. When asked what was the most important item she brought with her to Canada, she told us “ingredients for Thai cooking,” because she knew she could not get them here. She often travels to Thailand to visit friends and family members and on each of those trips, her suitcase contains a variety of chocolates. She also takes old clothes and money to pass along to her friends and relatives. What Kamfong values the most is her accomplishments that came about slowly in her life after immigrating to Canada. “I never thought I would drive a car or own my own house”. 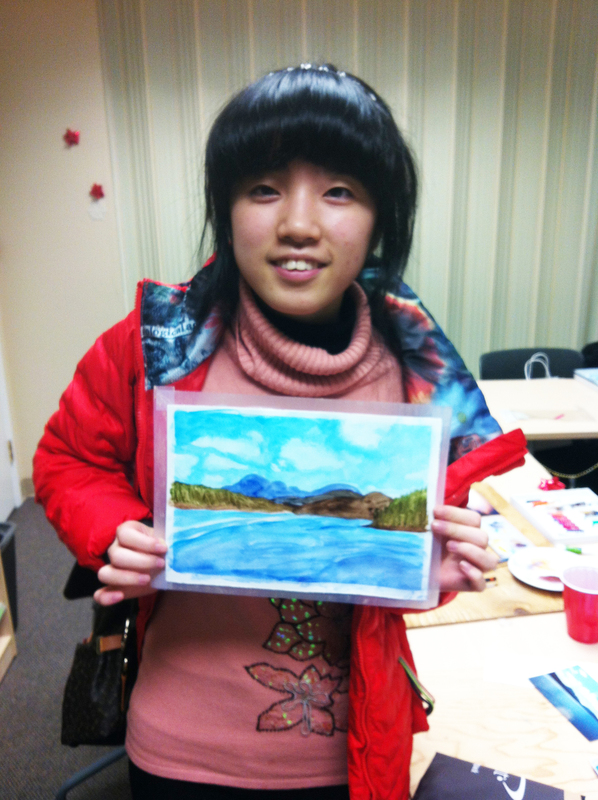 A few months after attending language classes at SOICS, where she also received basic orientation on the Canadian systems, Kamfong began to comprehend the fact that she would have to adjust to a new way of life, “life had to change”. Another thing she is happy about is that she no longer has to work long hours for very little money. The minimum wage in Thailand is approximately $10 a day. 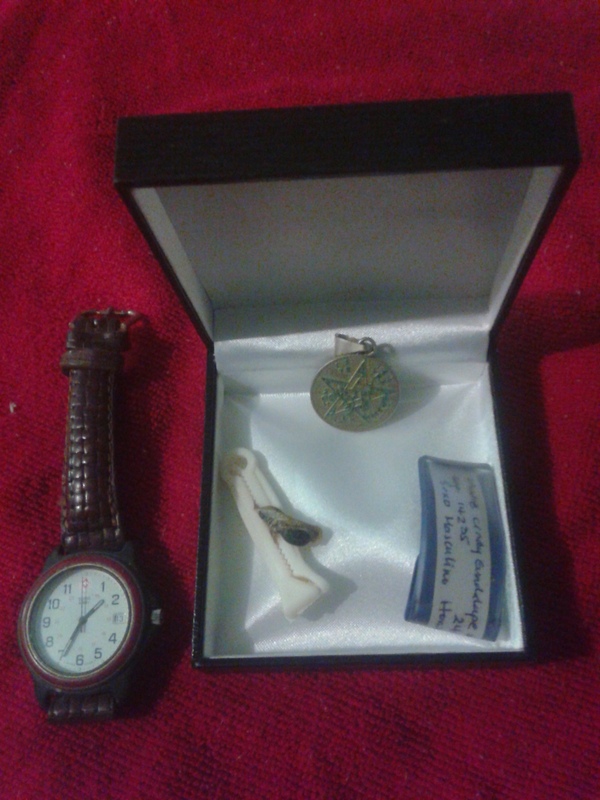 Her most cherished possessions that she brought with her are her grandfather’s watch, which he wore up until the day he died, her son’s medical bracelet from when he was born, and a six pointed star pin, which she carries for good luck. She was quick to point out that a star generally has 5 points and this one has six, which is why it is special. Her initial aim was to be able to speak for her son in school and understand what the teachers said during parent-teacher meetings. “Now it is all about me!” “finding me is important-who I am.” She perceives herself as a seed, which continues to grow into a plant and then eventually into tree, “it is not all about sacrifice, but about growing.” With a twinkle in her eye, she says “I like to joke,” but is aware that she needs to be careful that people understand she is joking and not get offended. Cindy’s hectic life doesn’t spare her much time or funds to make regular trips to El-Salvador, but when she does go, Cindy usually takes green gemstones for friends and family. For this month, we are introducing a couple who originated from two different continents, have diverse linguistic and cultural backgrounds, met through a friend in a foreign land, and chose Canada as their permanent home. Their story directed our attention on multiple variances that cause different social institutions in Canada and Europe. Dominik arrived in Canada from Germany on a work permit leaving behind his wife and a daughter. He chose to come to Canada alone and ensure that Canada was going to be an ideal place for his family before he committed them to anything. “I arrived at night and then had to work two and a half weeks straight.” So it was a while before he could actually appreciate where he was, although he pointed out “When I travel, I am always aware of the smell of different places and Canada was no exception”. The two most important things that Dominik brought with him are a picture of his family and a special army knife his friend had given him. The knife had belonged to his friend’s father who had passed away. Although he has not been back to Germany since, after some consideration, he decided that the best thing for him to take when he does return would be wine from the Okanagan, probably that he himself has helped make. When asked about adjustments that he has made, he says, “The hardships of moving to this country have forced me to become more independent.” He does many of his own repairs and maintains his car himself. “I do like Canada better than my home,” he confirms. He commented on the Canadian work environment, which expects a sense of responsibility but comes with freedom of choice to do things in the best way possible. He believes that such an environment enables people to become more self-sufficient than the average person in Europe. He particularly appreciates the accessibility to nature and the possibilities his young family has to explore the natural wonders of their immediate surroundings. 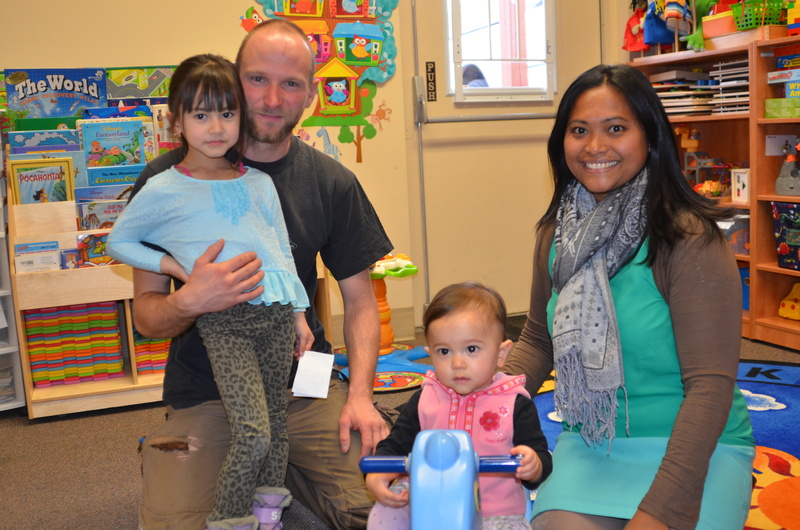 Dominik’s wife Deborah, originally from Indonesia, joined her husband two months after he arrived and they became permanent residents two years later. They have two daughters, one of whom was born in Canada. Being from two different countries, Dominik and Deborah are keen for their daughters to maintain their respective cultures and learn three languages: German, Indonesian and English. At SOICS, our data indicates that bilingualism is common and on the rise among clients from intercultural marriages. Research has been able to determine that early exposure [to multiple languages and words] has a profound effect on children’s ongoing language development: hearing more words gives children a greater opportunity to learn a language, which leads to later advantages in school performance. When she came, Deborah brought medication for the children, as she was unsure if she could get it here. 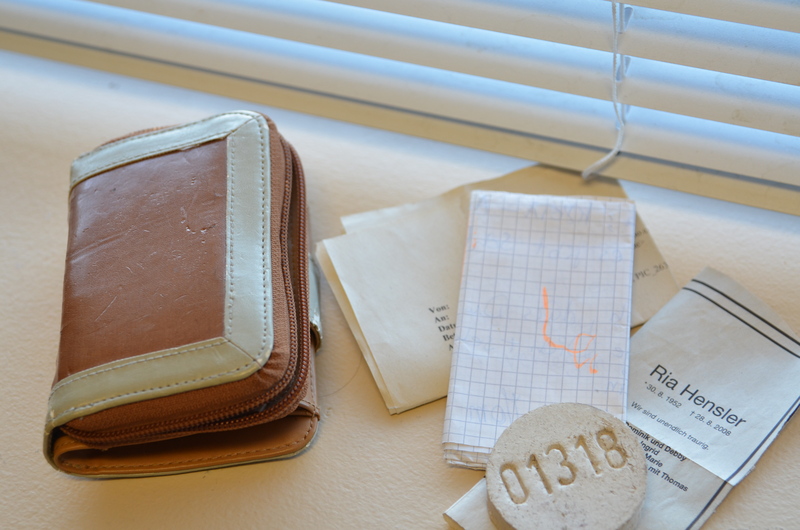 She also brought a small pouch that had belonged to her late mother-in-law. Inside the pouch she keeps a letter from her mother-in-law, a rock they received when she was cremated and a printout of an email that Deborah had sent to her. When asked what she felt when she first arrived, she commented on how beautiful it is here – the closeness to nature and the abundance of lakes. “ I heard the coyotes every night. It felt like I am living in the jungle.” Another aspect that she was immediately drawn to is the number of individuals who come to Canada from all over the world. “I do not feel much like an immigrant in here – I got welcome in here,” she said, “I didn’t feel a stranger any more,” which is how she had felt in Germany. Deborah’s biggest adjustment in Canada was that she went from no rules in Indonesia, where money can buy almost anything, to the strict rules in Germany and then came to Canada, which, to both her and husband Dominik’s pleasant surprise, is somewhere in-between. Deborah attends English language classes and what she likes about SOICS is “A lot of culture, lot of respect about other cultures, togetherness in every nation.” When asked what she would take back from Canada when visiting home, which she hopes to do this year, she said it would be typical Canadian items such as maple syrup and the bear dressed as a Mountie. From driving Soviet tanks and diesel locomotives to fishing on Okanagan Lake, Askar has had an incredible journey from his birthplace of Kazakhstan to his current home in Penticton. He served his mandatory 2 years in the Soviet military as part of a tank crew before following in his father’s footsteps as a Diesel Locomotive Conductor in Kazakhstan. For 18 years, Askar transported oil, coal and supplies along rail lines around towns surrounding his hometown of Pavlodar. 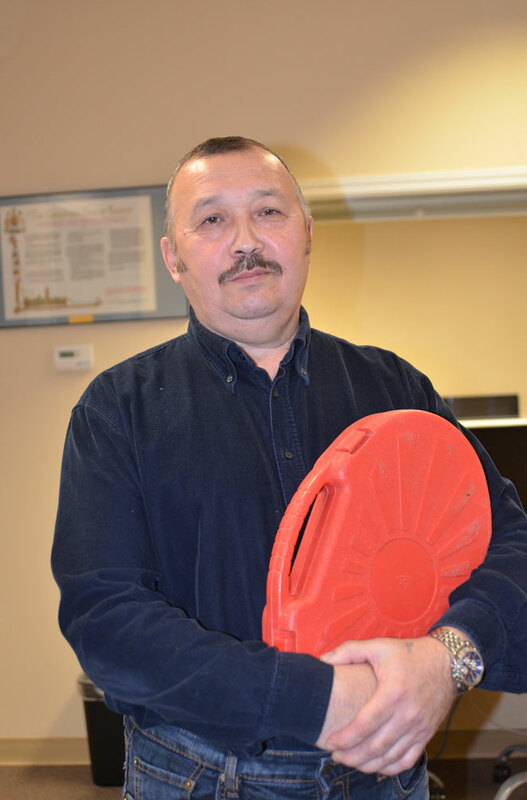 Seeing a limited future for his German wife and young son in post – Perestroika Kazakhstan, Askar moved his young family to Germany where he received some valuable government sponsored training as a welder/fabricator. Life was good in Germany for the Apenov family but after a visit to Alberta, Canada, the family once again decided to move to greener pastures. With 2 bags of clothes and a prized tool kit bought in Germany, Askar arrived in Canada in 2005. He knew that he could buy other things that he needed here but his tools were high quality German-made and would be useful in his new job. “I have been accustomed to moving around and so I like to travel light”. Initially, Askar set out for Winnipeg, Manitoba on his own as he had secured a welder/fitter job before arriving in Canada. His first days in Canada were a bit nerve racking as Air Canada had “misplaced his bags” but he quickly fit in with his new job. “I worked for 9 straight years and didn’t take a vacation”. He believes his training in the military and his dedication towards developing strong work ethics contributed to his general outlook to life. Perhaps this is the primary reason that he believes his transition to Canada was relatively easy. He was used to long cold winters in Kazakhstan and had a very marketable skill in welding so finding work was easy. In addition, English was part of his school curriculum so he quickly commanded the language. Tony immigrated to Canada in September 1975. Coming from the Philippines, the Canadian culture and English language were familiar to him as the western influence is very evident there. What required a great adjustment was the weather. He found the long periods of dark rainy days challenging from the moment they landed in Vancouver and the temperature in September was still considerably cold coming from a tropical climate. However, distant relatives and new friends helped made his adjustment easier. 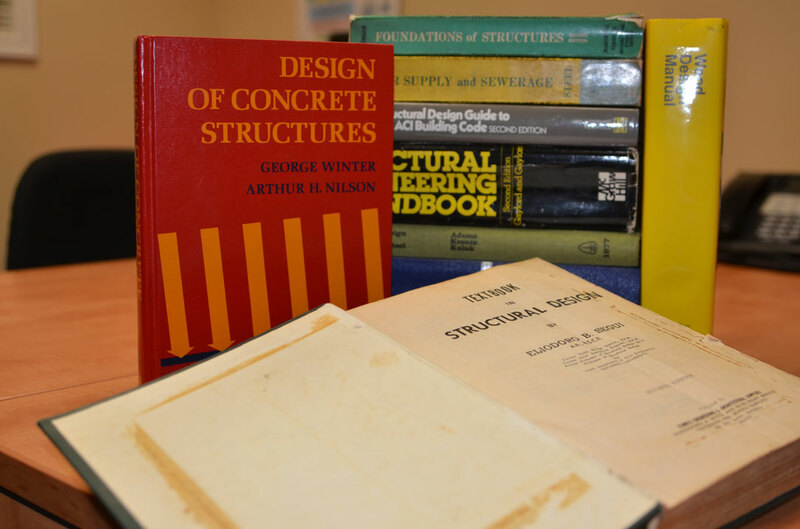 Without hesitation, Tony believes that his education and experience as a Civil Engineer were the most important items he brought to Canada with him. Ironically, these were also the source of frustration and difficulty in settling in Canada. Employers required Canadian work experience, which Tony lacked as a newcomer to the country. However, after working outside his field and through his persistence, he gained a position as an Engineer a year later. In Canada, he applied for different design systems and engineering strategies to meet the Canadian landscapes and conditions. His previous experience in the Philippines allowed him to adapt to the demands of engineering projects in his new home. Tony is an avid reader and later found a job posting in The Province newspaper seeking an engineer in Penticton. He researched the Okanagan Valley at the local library and discovered that Penticton has over 2100 hours of sunshine a year. This comfortable climate peeked his interest! He applied and moved to Penticton in 1977. Tony highly values education and the English language. This is a quality he passed on to his daughter ensuring that she consciously spoke and wrote using proper English grammar since too often poor-language skills are a source of misinterpretation. He believes that people will form their impressions based on how you present yourself. He encourages newcomers, explaining that, “Communication is a skill you can learn if you are willing to work. It is a skill that can help you improve your life both professionally and socially.” He also believes that when times get tough, the one thing that increases your odds of success is having a good education. India has grown to be one of Canada’s largest sources of immigrants. Starting with just a few immigrants landing ashore in Vancouver, BC, Indo-Canadians are now the 3rd largest immigrant group in the country, after residents of Chinese and Filipino descent. We highlight the journey of two chefs who never crossed each other’s path in their own city, New Delhi, but were destined to become each other’s closest ally in Penticton, BC. These chefs arrived in Canada as Temporary Foreign Workers, had modest beginnings, shared accommodations for 5 years, and worked hard to comply with the vigorous immigration requirements before they were united with their respective family members. 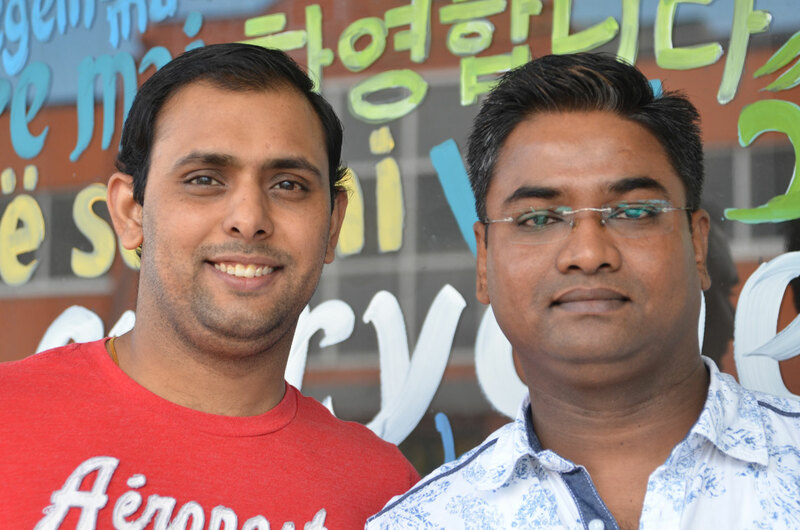 Vinod and Sunil, two young professionals arrived in Canada on a cold December midnight, their luggage packed with food for at least ten days and cooking pots to ensure that they could eat food that they were used to. The journey to Penticton was via Calgary where they had a one-night stopover. As they stepped out of the airport to go to the hotel, Vinod said the cold air was “like somebody slapping you in the face”. That year, Penticton had a record-breaking amount of snow and they recall trudging to work in snow knee deep. Sunil remembers how a senior couple, strangers to him, offered him a ride to work when he got lost in the snow. “I never forget them and their kindness”. Today, with time and conscious effort, they are achieving incremental upward mobility as they amalgamate the culture they were brought up in with Canadian norms, hence balancing the two. They are often seen offering rides to their fellow classmates at the end of the English class lessons at SOICS. Vinod applied for his work visa, intending to gain 2 years International experience and return to India, where his prospects of obtaining a better job with higher wages could become a reality. Being a South East Asian male, he wasn’t accustomed to household chores therefore his wife carefully packed a couple of needles with the thread weaved through it in case Vinod lost a button on his shirt. Vinod is an only son and so he was not only leaving his wife and son behind, but also his parents who were all dependent on him to run the household. He had to manage the majority of the responsibilities from Canada. Sunil, youngest in the family, was only 23 years old when he came to Canada. He had never lived without his extended relatives and a joint family cluster. A few months into working in Canada, he acknowledged that his biggest adaptation would have to be learning English. With long hours at work and no driver’s license, he was unable to join language classes. “In all spare time, I watched English movies and listen to only English radio. I start learning new words and practise with my co-workers. I sometimes struggle because my coworkers speak very fast, but I know I can learn to understand if I don’t stop trying.” He points out that our ears need to get used to the sounds of the new language while still using the rhythm of our mother tongue. In time, you’ll hear familiar words repeated and will learn to distinguish them. Perhaps that is the reason, language teachers call this “acquired competence”. He was aware that it would require more than passive learning to be able to converse fluently. After becoming an immigrant, he consciously requested his employer for later in the day working shifts to take advantage of the free language classes at SOICS. Both agree that there is scope for personal and professional growth in Canada and their long-term plans include operating their own businesses. In the meantime, now that their families are here with them, they would like to have more of a work-life balance, the central focus being to become Canadian citizens. SOICS eagerly awaits to cheer at the Citizenship ceremony where these two individuals will take the oath among their friends and family members. It certainly will be a celebration!! Chef Dambar’s blade and his culinary expertise are two of the primary reasons behind Lachi restaurant’s long line of patrons, which continues to grow week after week. An immigrant from Nepal, Dambar has extensive international work experience including working in India, Cyprus, and Japan. At the age of 17, he was well on his way to mastering the art of combining spices to develop exquisite flavours. Dambar came to Canada in 2006 and began by living on his own. When asked what was the biggest adjustment that he had to make when his wife, Sita, and children joined him in 2014, Dambar mentioned that things became more expensive, particularly “The auto insurance expenses,” as up until then he had not needed a car. Due to the differences in driving laws between Canada and other countries, many newcomers are treated as new drivers, particularly if no concrete driving records can be produced from their home country. It’s therefore not uncommon for newcomers to be charged relatively high rates for car insurance, so it does come as quite a shock. Located in beautiful South Asia and sandwiched between China and India, Nepal is home to the majestic Mt. Everest, the birthplace of Buddha and is one of few countries in the world never to have been colonized. Although they originated from a small town within Nepal, both Dambar and Sita have always resided in metropolitan cities. Therefore they particularly appreciate that people automatically form lines as the natural order in Canada. They mentioned that “there is no human jam in Penticton.” Furthermore, when visiting banks, post offices or government locations, they are confident that once they have entered a queue, their request will be processed irrespective of their academic or social background. Lining up feels like a luxury to them because they notice that they “relax” in a Canadian lineup, as opposed to constantly being on guard for line-cutters. In developing nations, “line etiquette” is considered as a marker of modernity, a sign of graduating from chaos to order, and a departure from restricted resources. In an article published by National Post, “Everyone line up: Canada’s tradition of orderly queuing ‘foreign and strange’ to many newcomers” just about sums up the defining feature of a modern life. What Dambar and Sita point out as an honest observation infact has extensively been researched in western countries and, in some cases, is formally taught. At the Canadian School of Protocol and Etiquette, Ms. Mencel teaches her students that lining up is a holdover from class-conscious Britain. “People try to better themselves in society by learning all the rules of etiquette that the Upper Class knew, and line etiquette is part of that,” she said. The British often boast that they invented the lineup and questions about queuing are even included in U.K. citizenship tests. In Simon Fraser University’s International Student Handbook, lining up is listed alongside punctuality and frequent apologizing as a cherished Canadian practice. In the book The Silent Language, anthropologist Edward T. Hall claimed that queuing reflected the “basic equalitarianism” of Western culture. “To us it is regarded as a democratic virtue for people to be served without reference to the rank they hold in their occupational group,” he wrote. One of the top reasons immigrants give for coming to Canada is a desire to provide better educational and economic opportunities to their children. Immigrants voice this sentiment regardless of their educational level, financial standing, or country of origin. A man of few words, Dambar works long hours to support his two sons who are enrolled in OK College, one to become a civil engineer and one heading into trades. Although his daughter is quite young, she wants to become a fashion designer. Because he is bearing the brunt of his children’s education expenses, Dambar aims to take early retirement. Sita had no comments about her husband’s plans. She is content in her children’s adjustment in their academic environments and is working on achieving new skills for herself. Sita started as a helper in the kitchen and is now working on the tandoor (clay oven), really enjoying her newly acclaimed skills. Both Dambar and Sita hold their employers at Lachi in high regard as, they proudly share, they encourage them to take on more responsibilities and grow with the business. Dambar and Sita originate from families that observe many rituals and ceremonies. They were eager to point out that Canada allows families to hold on to their cultural identities while embracing new traditions and languages. “In our own country, we celebrate only our festivals, but in Canada, we now celebrate our festivals and festivals from other cultures”. In proportion to its geographic reach, there are thousands of temples and shrines scattered throughout Nepal. Many of these shrines are constructed near rivers or at the base of “peepal” (fig) trees, which are considered sacred. When his family was getting ready to immigrate to Canada, the most important items they packed were the “pooja” accessories. Undoubtedly for Dambar and Sita, the hum of mantras, the tinkling of a hand bell, and the aroma of incense wafting from their pooja corner are vital in their day-to-day routines. One of the greatest challenges for immigrants originating from South East Asian countries is the disruption of longstanding social networks. While residing in Penticton, Sita reveals that she hardly knows anyone in her neighbourhood or what they do whereas in Nepal, during the evenings, the streets are packed with children playing with each other and parents involved in causal conversations. Although the entire family is building their lives in Canada, Dambar visits Nepal on an annual basis due to religious and social duties towards his mother and extended family members. He takes with him souvenirs that either are “made in Canada” or have Canada engraved on them. Intercultural marriages are an exciting phenomena in today’s world. When two individuals merge their lives into one, they understand that they will encounter new challenges, growing pains, and adventures. As a culturally diverse couple, both parties carry their unique experiences, personalities and different backgrounds with them into the union. This article highlights two young immigrants’ point of views on how individual self-awareness impacts interactions with those of other cultures. Pexi, an immigrant from Zambia, recently obtained Canadian citizenship and proudly encourages other immigrants to build careers in Canada. An avid reader, her books were her priority when packing for her move to Canada. Pexi believes that a person’s capacity to function in a foreign environment reveals information about psychological adjustment. In new situations, stress and frustration surface, perhaps due to the confusion of the newness and forced alterations in order to be successful. “Failure perfects you and you learn to see where the mistakes are” thereby moulding your life decisions. Pexi is an LPN who enjoys her profession and gives tremendous credit to one of her mothers’ friend who, in blatant honesty, questioned Pexi during her early days in Canada on her career choices. She cautioned Pexi on being realistic and practical in order to have job security. Zane’s relationship with Canada began as a temporary foreign worker who traveled back and forth from Jamaica depending on the work permit requirements. Although he packed nothing too significant when entering Canada, he often took back farming tools for his father. Intercultural relationships and their accompanying, unique dynamics are multiplying in today‘s society. When Zane met Pexi’s family, he was introduced to the Zambian concept of ‘Lobola’, which is an age-old tradition where a man pays his fiancé’s family for her hand in marriage. It should not be mistaken for a buying or selling transaction, for the gift of Lobola raises the value attached to the bride both as a person and as a wife. The custom also aims to develop mutual respect, showing that a woman’s future husband is capable of financially supporting his wife and this is a symbol of his commitment to her. In addition, it is a token of thanks and appreciation on the groom’s part to the bride’s family for their care over her and for allowing her to become his wife. Historically, the purpose of Lobola was to build relations between the respective families, as marriage was more than a union between two individuals and the Lobola payment was in cattle, the primary symbol of wealth in African society. However, today modern couples have switched to using cash. Zane, an energetic young individual, is actively working towards building a career in trades and misses the opportunity of developing social relationships in rural Okanagan. He grew up with sports activities surrounding his neighbourhood where anyone with a soccer ball would be able to invite others for a friendly game. Sport socialization in Jamaica stems from the island’s tropical climate, which provides almost year-round opportunities for friendly tournaments and competitive events. “In Canada you have to do many things like getting permission, inviting people, talking about insurance before enjoying a sport game.” He believes these formalities have reduced the opportunities of developing interactive relations among youth and that contributes towards an increase in the use of video games and other technologies. Based on the same notion of formalities, Pexi shares that in Canada there are differing degrees of acceptable openness in personal sharing. In Zambia “as soon as I move in a new home, within a week I know all my neighbours. Here, neighbours are strangers.” With a sparkle in her eyes, she goes on to share how neighbourhoods become an extension of a family in Zambia. “We can go to each others’ houses when we run out of food ingredients or ask them to keep an eye on our children while we run out for errands. We don’t have to knock on their doors for permission, simply call out their names and jump into a conversation. Neighbours would know if I am dead or alive. Here we go home and the door of our homes closes behind us.” These restrictions, or precautions set in place, they believe, are making it difficult to discipline or raise children, which doesn’t strengthen a family unit. Intercultural couples also create a new culture. This third culture allows dyads the opportunity to co- construct a unique culture, composed of the best qualities of two distinct cultures. Zane and Pexi plan to introduce their children to their respective cultures and possibly others before choosing to learn different languages. They both believe that when you learn about another culture, you learn that there is more than one approach to life and understand better why others do the things they do. Perhaps your approach is not always the best way and someone else’s cultural heritage can add another dimension to your life, as well as enable you to develop a more sympathetic outlook.